February is already on its second week of the month and there are just so many occasions to look forward to - Valentine's Day and birthdays of friends and loved ones! You can't deny that those things require you to think of presents and what better gift to give your special someone than something they're so hooked on - gadgets! But now, there's a solution! Meet the toughest key chain cable on earth! 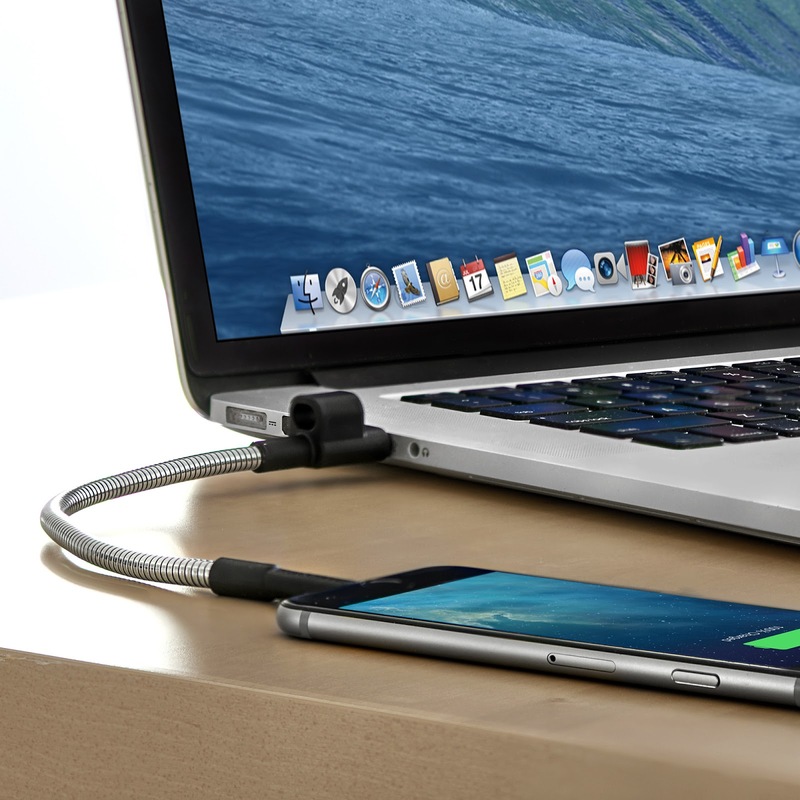 No more frayed and damaged cables. Beyond the Box outs the latest travel cable you'll ever need and their featured product for the month: the Fuse Chicken Titan Loop Key Chain Cable. The Titan Loop uses two layers of flexible high-strength steel to surround the inner cables. It is permanently sealed and held together with a one-piece housing fused over the electronics and metal cabling. That means it won't break or snap under the pressure of everyday use. Made for the iPhone 5 to the latest iPhone 6s Plus for only Php 1,650 in all Beyond the Box stores nationwide! 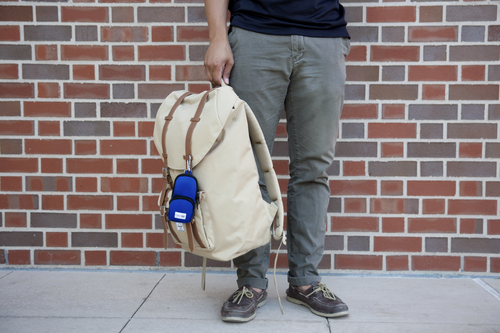 Next up, Digital Walker brings you the answer to your problem - the BATT PACK 101! A little convenient and stylish pack designed to keep all essentials for individuals who are constantly on the move. Made from Ballistic Nylon, the BATT PACK 101 has proven itself to be the case that keeps all the little and big things together and intact within its sturdy exterior. 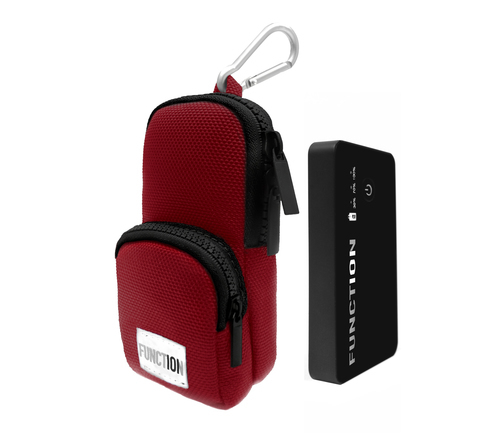 Great for quick access and easy grabbing when you hit the road, it comes with a removable 3000Ah USB battery and has dedicated pockets for cards, earphones, and phone cables. 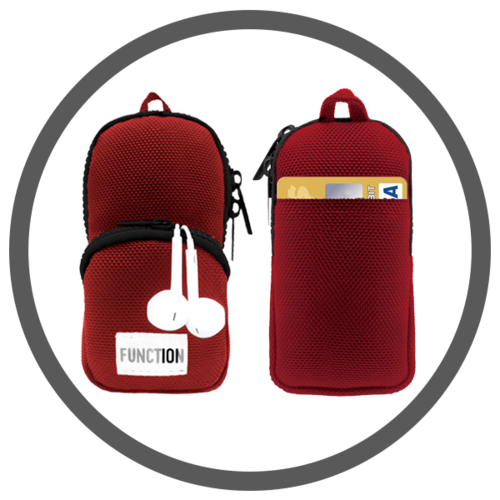 The pack also comes with detachable industrial strength carabiner that attaches easily to backpacks, suitcases, and more, making sure you keep locked in and connected at all times. This is the answer to my blackhole bag problems! I'm sure you, girls feel me! When you put something in your bag and for some reason can't find it! With the BATT PACK 101, I have easy access to my earphones and power bank without having to stress myself in finding it in my bag! It's now available in Digital Walker stores nationwide for Php 2,350! Last, but not the least is something all Apple fans will love! 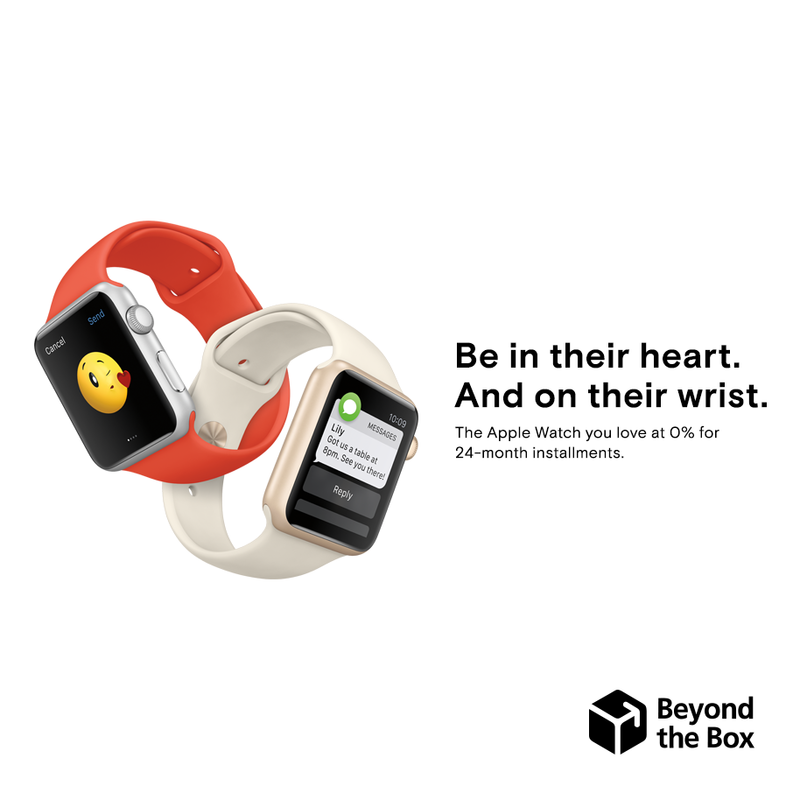 If you can't take your special someone by the hand, take them (gently) by the wrist with a lovely Apple Watch from Beyond the Box. I got an Apple Watch this year, so maybe i'll just hope for an Apple Watch Accessory! ;) Haha! Visit https://www.facebook.com/beyondthebox.ph and https://www.facebook.com/digitalwalkerstore/ for more information and updates!